Bass bumping booms are ricocheting off of the downtown buildings, and yet all you see are cars and people crossing the street. Adventure deeper into downtown Cincinnati, and you’ll hit the epicenter of pure summer jams. During the summer, the company, SelfDiploma hosted the Summer Slam Series on Fountain Square. The concert series was held on every Saturday night and showcased both local and big name artists. 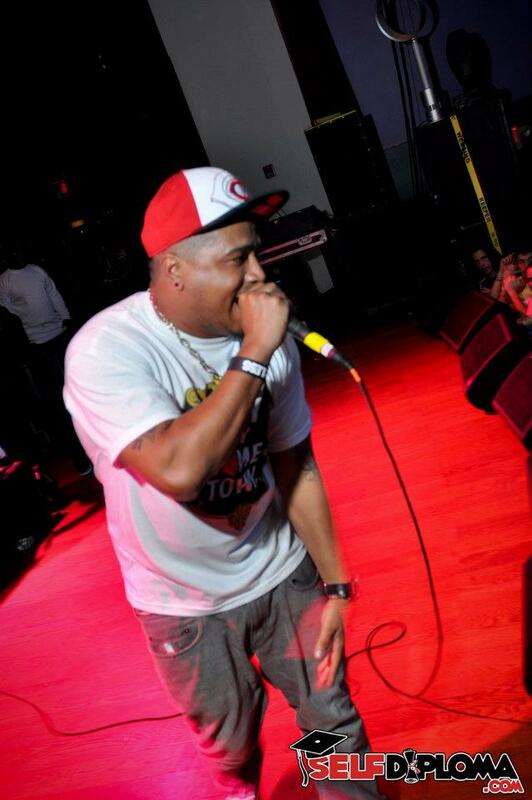 SelfDiploma is an entertainment company based out of Cincinnati with a focus on live music and celebrity appearances. Although SelfDiploma has been planning events for 8 years, anyone can attempt to plan their own concert event. It’s SelfDiploma’s state of mind and skills that makes their events so successful. By using their tips and tricks, try to create your own concert event. O.C.D: According to Sean Herron, founder of SelfDiploma, “Organization, communication, and delegation are key.” Herron says that having a strong team of people who work together and know their individual roles allows for everything to be accomplished. Cha-Ching! : Making a budget will help you decide what venues and performers you can afford to bring in. “It’s never fun to stay within a budget when dealing with entertainers, because obviously the more money you have to spend on a show, the bigger the artists you can bring in town,” said Herron. You + Community= Partnership: Whether you are partnering with individuals, an organization/company, or an artist, it is important that communication is strongly presented. “The reason it worked is because we connected with all the right partners,” said Boyle about the Uncapped concert series. One person cannot execute a concert alone, so make sure to partner with people or organizations that have strong work ethic and possibly experience. employee and official DJ for Mac Miller, DJ Clockwork says the relationships that SelfDiploma has built with different people and artists is what made their events so successful. Working with your connections and showcasing all that you have done and will do can help these connections grow stronger. “I’ve worked to build my connections and relationships. One leads to the next by just always being a man of my word and taking care of everyone I do business with,” says Herron. Behind the Vision: No matter where you host the event, you will need to sign contracts or permits for the venue, artists, or security. Hoping that your event will be a huge success in the city, it would be helpful if the city has your back. Make sure you have everything covered from security to the stage production staff. For the Summer Slam Series, “we had to get everybody in the city behind the vision- from Mayor Mallory, to the Cincinnati Police Department, Fountain Square, and all of our sponsors” says Herron. Make it Social: Once the venue and artists are booked, and every little detail is set in stone, it’s time to tell the world! Don’t worry about paying for marketing; SelfDiploma hasn’t in its 8 years. Herron says most of their marketing is done through word of mouth, social media, email databases, flyers, posters, and a team of promoters. “Never ever ever be a Janky promoter!” stressed Clockwork. Creating a facebook event, fan page and twitter account specifically for your concert can easily spread the word. Posting your events videos or links of the artist is sure to get people engaged. Also, come up with an eye-catching flyer that showcases who, what, where, when, and why. Use this flyer as your icon on the social media sites, and have your team distribute them around Cincinnati. Most importantly hype up the event to all of your friends, family, co-workers, and acquaintances. Word of mouth travels fast and can hit social media without you having to type a thing. Stand Out: Give your potential audience something different to look forward to. In fact, make your potential audience diverse. “SelfDiploma brings a mixed crowd together and it’s good for me as an artist for people to hear and see me perform who wouldn’t normally,’”says SelfDiploma performer, Santino Corleon. “Being original, our work ethic, and honesty sets us apart from the others,” said Clockwork. Be creative and have fun with your event, but don’t lose sight of the business aspect. Don’t Freak Out: Herron says that he is bombarded with last-minute problems almost every night, so if problems cross your path don’t freak out because it happens to the best of us. Take a deep breath, stay calm, and quietly think of how you and your team can fix the problem. ‘How we handle the problems, is what makes us good at what we do…we keep everything under control, privately make calls within our company, until we have the problem taken care of,’ says Sean Herron. DJ Clockwork shared that working with people outside of the company and coming out of bad experiences has only made SelfDiploma bigger and better. One of your execution goals should be to make sure everyone has a great experience. ‘My experience with SelfDiploma has been excellent because they treat me like family and always take care of me,’ said Corleon. SelfDiploma pride’s themselves in this but they realize ‘it is nearly impossible to keep everybody happy,’ shared Herron. Herron’s advice to anyone planning an event is ‘think worse case scenario…not best. It will make you work harder.” So now it’s time to take these tips and apply them out in the Cincinnati music scene! What concert will you plan? Are You Sure This is Cincinnati? SHH! It's the Music Biz.